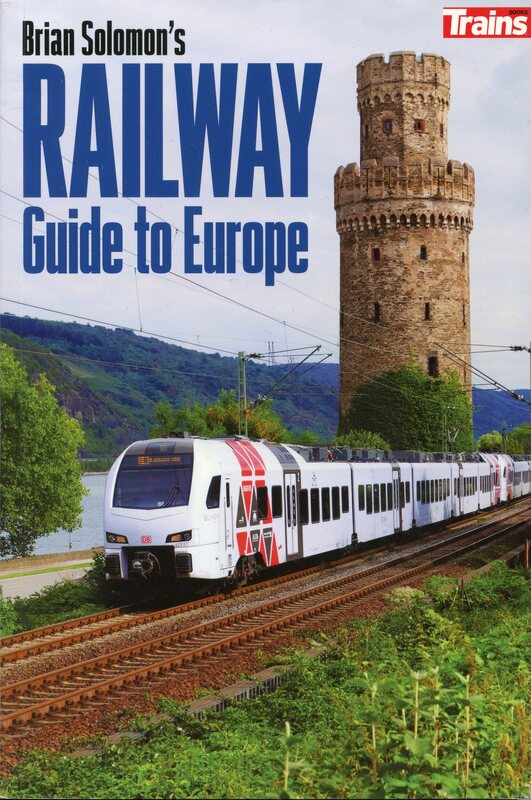 Brian Solomon’s Railway Guide to Europe. Yesterday I was thrilled to receive my Author’s advance copy of my Railway Guide to Europe. This represents a culmination of more than 20 years of wandering around exploring Europe by rail, while seeking places to make photographs. This is aimed at helping you plan your trips around Europe by offering experience, suggestions and thoughts on where to go, how to get there, how to buy the best tickets, while hinting at what to avoid. This is illustrated with hundreds of my best European photographs. It goes beyond the railways and suggests myriad interesting places to visit with detailed sections on London, Paris, Vienna and Rome among other European cities. This should be available at the end of May.